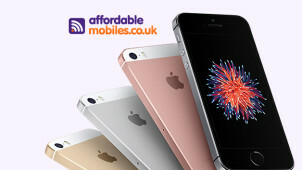 With an astonishing range of contracts available for all the latest smartphones, Affordable Mobiles is your one-stop shop for a great value phone deal. Offering the option to trade-in your mobile to offset the cost of a new one means that you can make the exceptional value of Affordable Mobiles that extra bit more affordable. Instantly compare prices from almost 40 of the UK’s top phone-recycling centres, and take a chunk out of the cost of a new phone whilst you’re at it. Affordable Mobiles offers great deals for business as well, with a variety of value business-to-business mobile deals and unified communications solutions. If your business is in the market for an incredible deal on broadband, fixed lines or VoIP, Affordable Mobiles can guarantee you a great deal. Whatever you want out of your mobile phone, ensure you get a great bargain today with Affordable Mobiles. How do I use my Affordable Mobiles promo code? When you’re looking for a new phone, have at look at Affordable Mobiles’ great value Upgrade options. Will Affordable Mobiles let me keep my old phone number? Using Number Porting you can transfer your old number to your new phone, whether you’re on a contract or pay-as-you-go. Can Affordable Mobiles help me solve my tech problems? With Affordable Mobiles’ Gadget Helpline you can call up a team of specialists for smartphone solutions, and also for help with any other gadget in your home, from DVD players to GPS units. Do Affordable Mobiles offer a repair service? Yes, Affordable Mobiles have a team of mobile technicians who will travel to you. This service is usually same-day, and the technicians will operate on your mobile in front of you, so you don’t need to part ways with your beloved phone. Each repair comes with a 12-month guarantee. Or click here to use their email form. All mobile phone contract orders come with free signed-for delivery. You can track your order via UK Mail. Faulty goods can be returned and repaired within 30 days. Outside of 30 days, your mobile will still be covered by a manufacturer warranty, which should mean you’re able to get any faults repaired for free. No matter what you want from your new phone, Affordable Mobiles has it all, stocking a wide range of all the latest smartphones in a number of sleek styles and cool colours. With an Affordable Mobiles promo code you can find the best phone for the best price. Whether you’re looking for a great cameraphone, the latest high-tech iPhone, or even the re-release of the classic Nokia 3310, Affordable Mobiles has the right deal for you. Since the 1st mobile phone was invented in 1973, phones have come an awfully long way. Back then, they only really served one function, and closely resembled a brick. Today, phones have a range of astonishing features, and fit neatly in your pocket. Affordable Mobiles has everything from waterproof phones to phones with inbuilt stereo speakers and 135 degree cameras. Don’t worry, though, they still all make calls. Have a look at the newest iPhone Affordable Mobiles stocks. Arguably the most iconic smartphone, iPhone are always upping their game. Their latest model comes with up to 256gb of storage, a 12 mega-pixel camera and the longest-lasting battery life of any iPhone ever. With an Affordable Mobiles discount code, you can make owning this dream gadget a reality without breaking the bank. With an excellent range of great value plans, you can tailor your contract to you, and pay for what you want, not what you don’t.